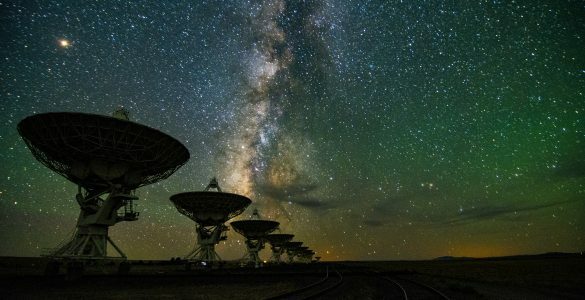 Looking down on the 256 white, tent-shaped antennas of the Long Wavelength Array (LWA). 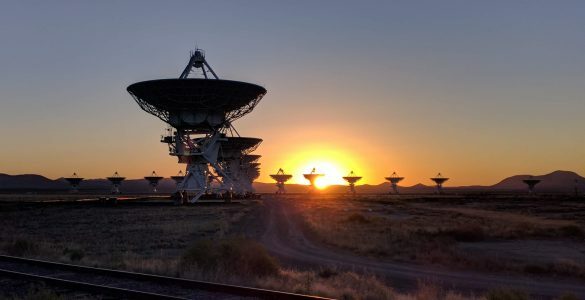 Like the Very Large Array, the LWA combines the views of its individual antennas into impressive radio images of the sky. 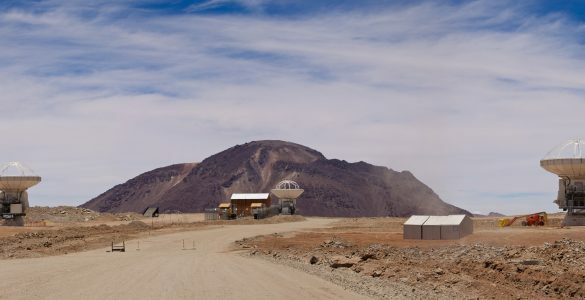 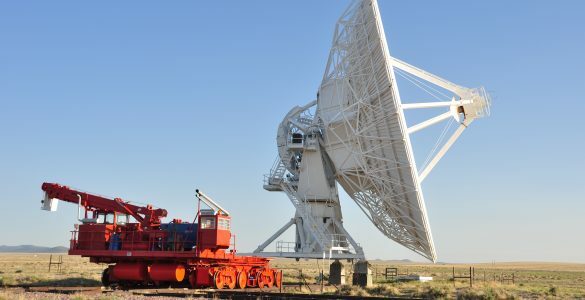 Unlike the VLA, however, the LWA antennas cannot dip or turn. 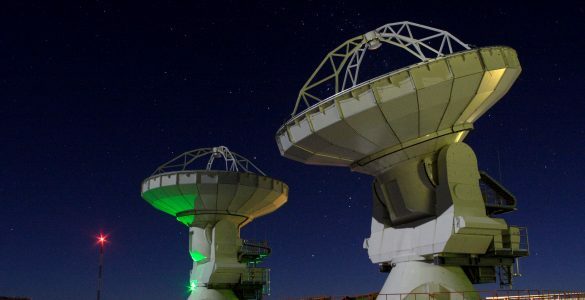 To image different parts of the sky, the antennas rely on sophisticated electronics, software, and their four-sided faces. 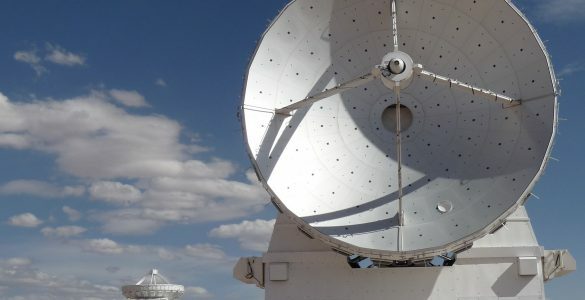 The LWA is tuned to natural radio waves that are below the range of manmade FM radio broadcast channels to observe pulsars, the Sun and its effects on the planets, and the most distant stars and galaxies in the Universe. 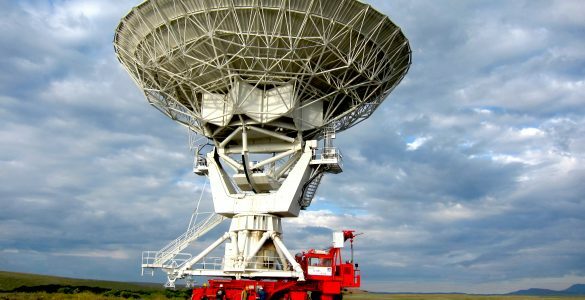 In addition, the LWA also studies the radio-bouncing layer of our atmosphere, called the ionosphere.